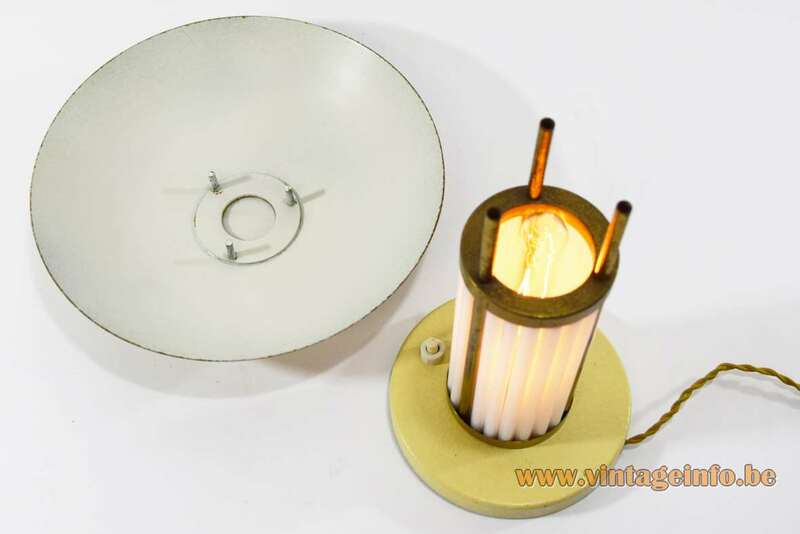 Materials: Round metal (iron) base, painted with cream textured paint. Brown painted lid on the bottom of the base. Brass rods and parts. 21 White opal glass rods. 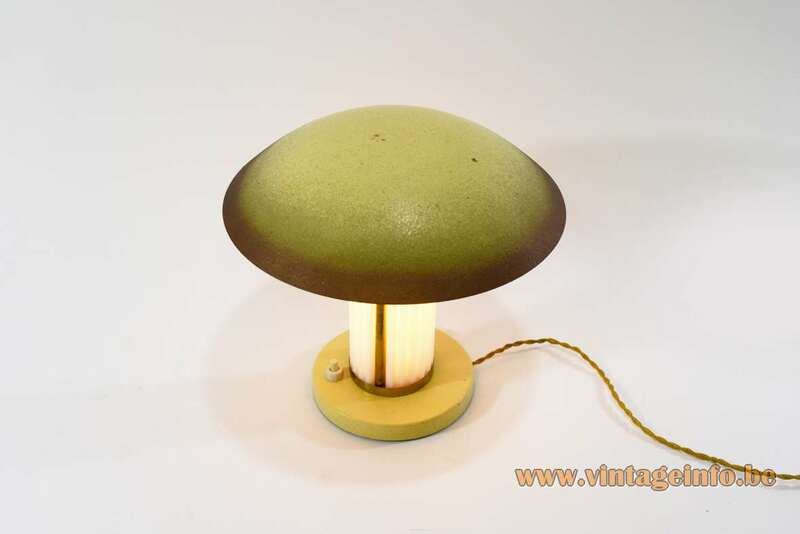 Mushroom lampshade, also cream painted with texture paint degraded to bronze on the edge. Electricity: 1 bulb B22, 1 x 60 watt maximum, 110/220 volt. Any type of B22 light bulb can be used, but a T10 tube bulb is preferred, it is part of the design and gives the best result. 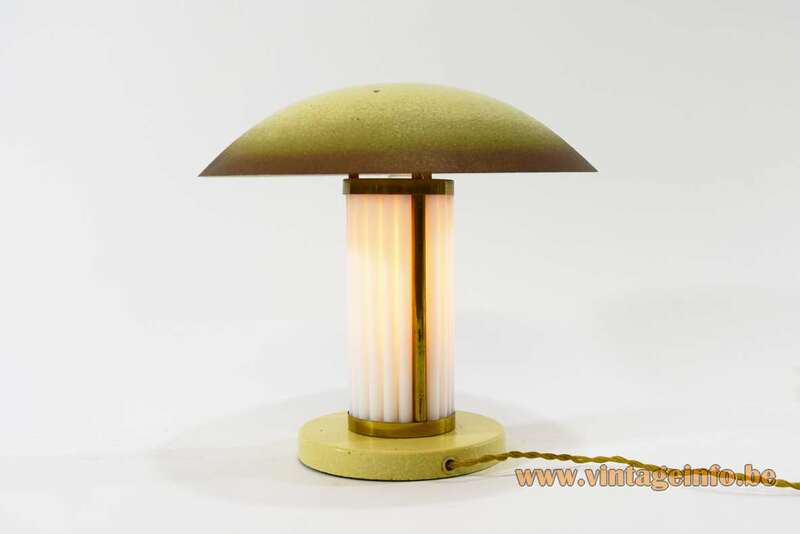 Period: 1920s, 1930s – Art deco. Other versions: Unknown. The number 453 is stamped in the bottom, is it the model or the serial number? Also the remnants of a round paper sticker are present. 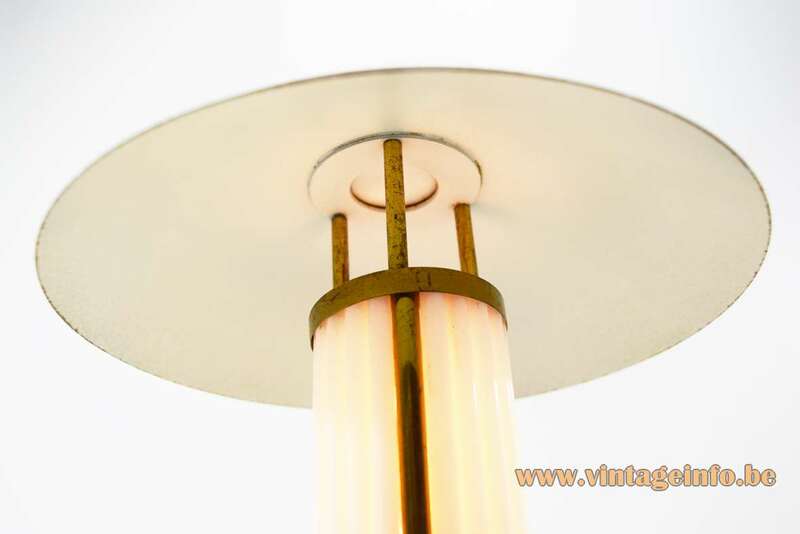 Many lamps in the art deco period were made with this type of glass rods, white opal or clear rods. You can find numerous examples online. Unfortunately, nobody knows a producer. 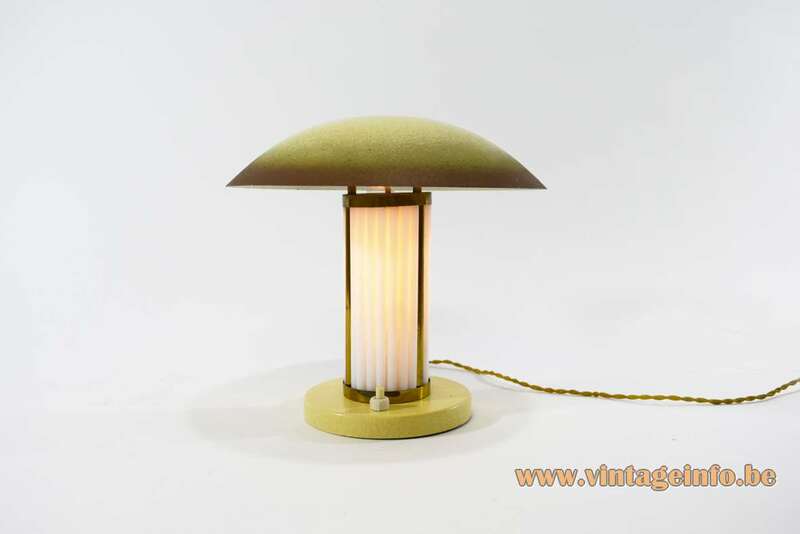 This art deco table/desk/bedside lamp was acquired in Romeny-sur-Marne, in between Paris and Reims, France. A small village with almost 500 inhabitants (2019). 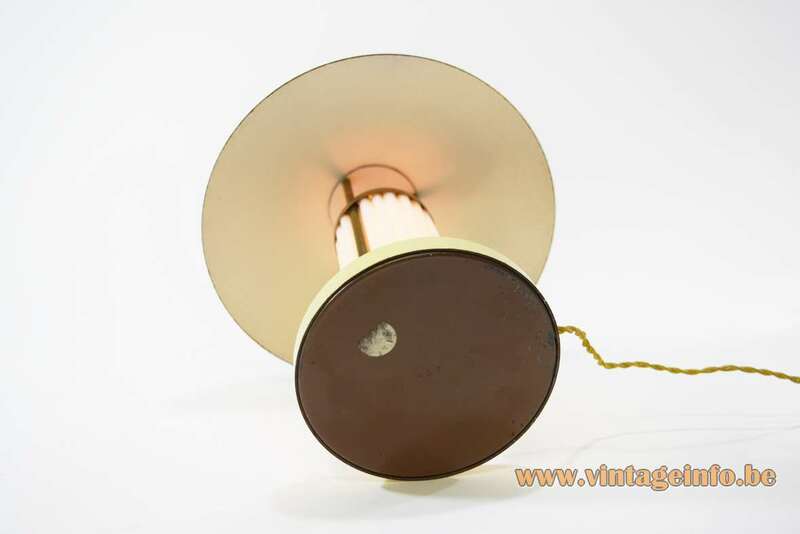 The lamp has a B22 socket, so in all probability it was produced in France. Except for the United Kingdom, all other countries in Europe use Edison E27 or E14 sockets. 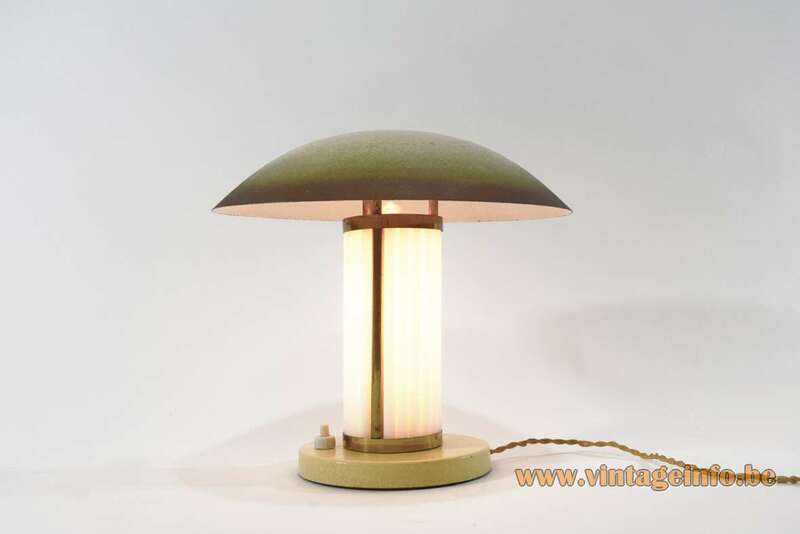 Today, new lamps with glass rods are produced. 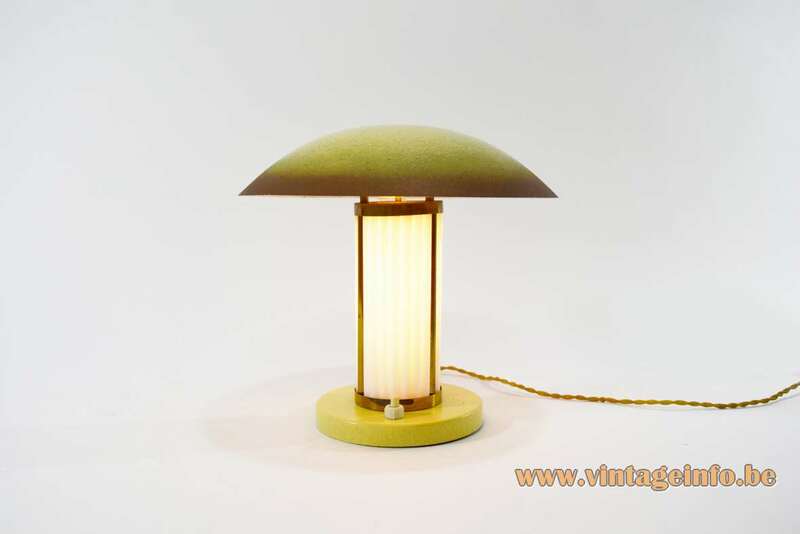 Sold as art deco lamps, but they are “in the style”. The lampshade can be easily removed if the bulb needs to be replaced, as you can see below.